Eight generations of the greatest and worst kings and queens that this country has ever seen -- from the White Ship to the Lionheart, bad King John to the Black Prince and John of Gaunt -- this is the dynasty that invented England as we still know it today -- great history to appeal to readers of Ken Follet, Bernard Cornwell, and Tom Holland. The Plantagenets inherited a bloodied, broken kingdom from the Normans, and set about expanding royal rule until it stretched at its largest from the Scottish lowlands to the Pyrenees, and from the Ireland to the foothills of the Holy Roman Empire. At the same time, they developed aspects of English law, government, architecture, art and folklore that survive to this day. Despite all this, and having reigned for twice as long as their eventual successors, the Tudors, the Plantagenets remain relatively unknown. This is a wonderful history book - all the details but none of the dryness. 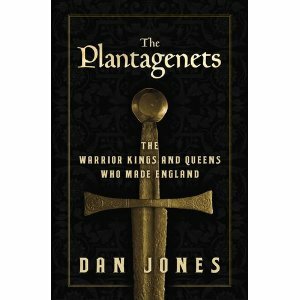 Jones has a very engaging voice and it was a pleasure to follow his tale from Henry I through to Richard II. It almost felt like reading a story rather than a history book and the different figures were perfectly represented, each brought vividly to life on the page. This is a fascinating period of English history that is often a little neglected, in my opinion, in favour of the Tudors etc. I am glad to see this new book delving in and offering an amazing tale of the birth and loss of an empire. 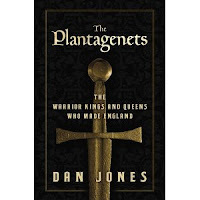 Jones notes that he may go on to write a second book covering the War of the Roses and I certainly hope this will come to pass. I would be happy to continue the story with him. I can highly recommend this book for history buffs and general audience alike as it is a very engaging and approachable work.